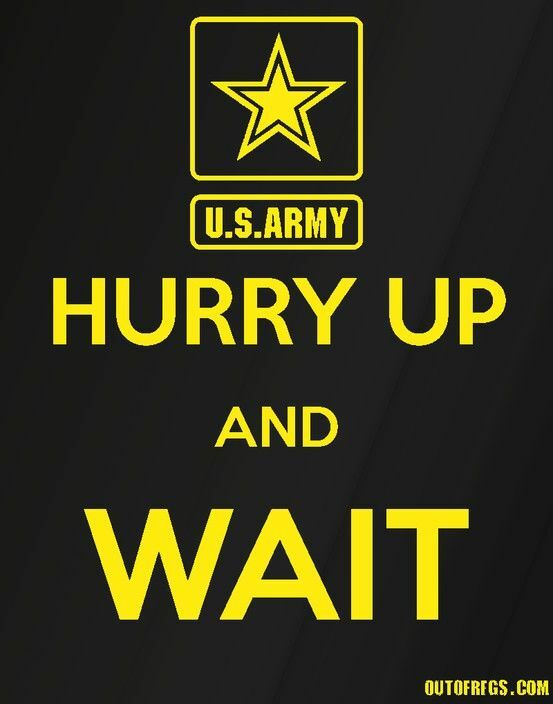 In the military, they have a saying “hurry up and wait.” That’s because there is a lot of waiting when you serve in the military - and because the military is serious business so they hurry to the points, then they wait. So it is with life. We rush to the hospital to wait and wait and wait for a child to be born. We wait for those we love to pass on to heaven because it is the right thing to do. We rush to the doctor and we wait in the waiting room. We rush to fill all the forms out for a new job, a new house, a new car, a loan, a refinance, a college application and we wait. Last week, one of my hero’s – (even though he is younger than I am, he is still my hero) – Matthew Barnett sent me a note. He has a spiritual gift of prophecy and from time to time I get these odd notes from him. One time he commented on my Facebook page “you need to be the first one to the conference you are speaking at and the last one to leave and visit with as many people as possible”. I received his word and wow! what a blessing that conference turned out to be. This week, he left a note for me that said, “You need to preach on Psalm 37”. I have only spent a few times with him so I cannot say I know him well. I think I know his dad better. But I do consider him a friend – especially after watching God work so mightily through his life at the Dream Center. I don’t know if he sent that note to a lot of people or just to me, but after his comments about the conference I took his note literally and I am preaching on Trust so it is Psalm 37 this week. As many of you may already know – this is a powerful passage and it is one of the “Trust in the Lord and Wait upon the Lord” passages. As I drove to work for an appointment this morning there was some construction. I let someone merge into my lane and the person behind me started to make all kinds of gestures. Some of them were clearly not favorable. She was not cheering me on for my act of kindness, which slowed us down for maybe 3 seconds. She kept pointing to the man sitting next to her. I (and my 135 pound dog Gus, who takes these kind of threats more seriously than I) looked at her and the man setting next to her and he shrugged his shoulders in timidity. She kept yelling at me – I could not hear her, but it looked like she was going to bust a blood vessel back there. I would like to say this is a ‘one-in-a-million’ occurrence in our world, but we have all had experiences similar to this – right? Our whole community needs to learn to Rest in the Lord, Wait on the Lord, Trust in the Lord. Well, it turns out that Psalm 37 has some fresh, innovative, practical solutions for all the pent-up restlessness in each of us. As we all know, trusting God and waiting on God and resting in God is much easier to say than to do. Psalm 37 is a birds-eye view from the mountain-top of our little world and shows how we need God’s perspective to really develop that inner peace, strength and poise in order to act rightly in following God. Won’t you join me this weekend as we are all blessed by an encouraging Biblical message right from God to each of us?